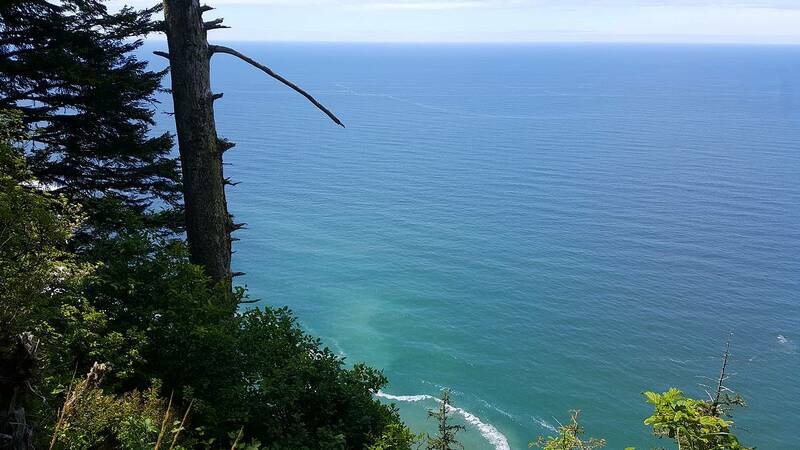 The Tillamook Head traverse is a great hike on the Oregon coast, just south of Seaside. 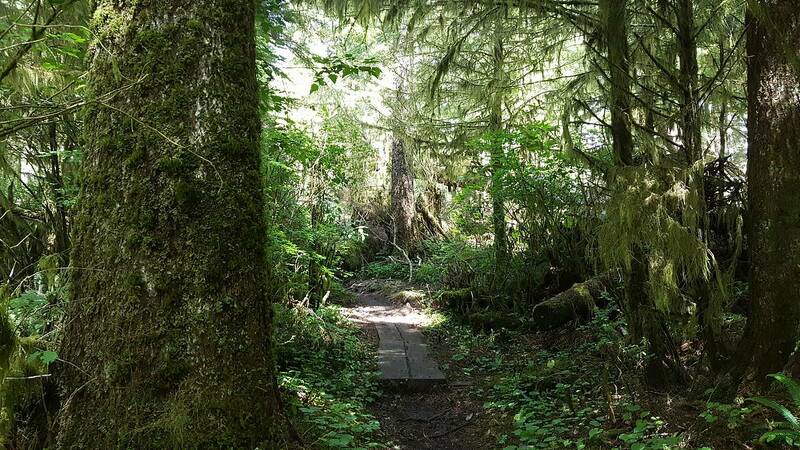 The undulating trail winds its way through forested terrain, including a crossing of the unofficially named highpoint of “Clark’s Mountain”. The mountain was named after Captain Clark, who made a famous visit to Tillamook Head in 1806. During a family vacation to the Oregon coast, my brother-in-law Mark and I teamed up for this hike. After leaving the rest of the family to splash in the waves at Indian Beach, we hit the trail headed northbound. There were two trail options, and we chose the westerly one, which had seemed to be a little less traveled, and afforded us a few nice views of the Pacific Ocean along the way. 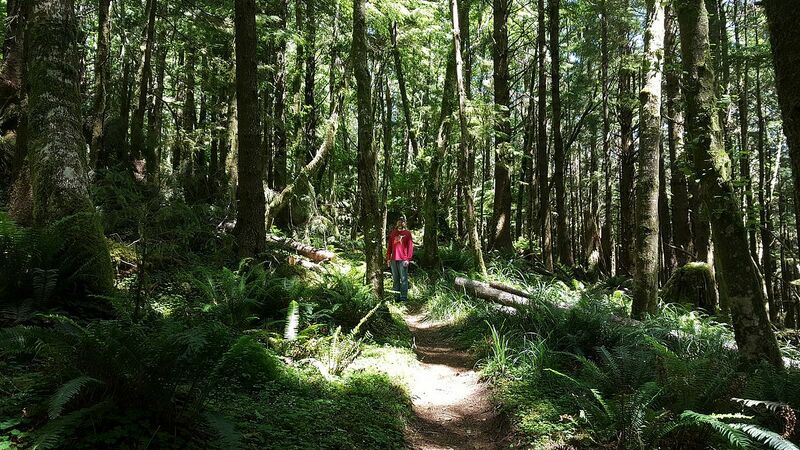 We made our way through shady forests full of ferns and moss covered logs. The sun was shining overhead, with the beams often angling down through the trees. The lighting was really cool. I was glad to have a GPS along to help locate the highpoint of Clark’s Mountain, which was nondescript and just off the main trail. From there, it was all downhill on somewhat muddy trails until we reached the northern trailhead, where our family picked us up. A great little hike that only took a couple hours. 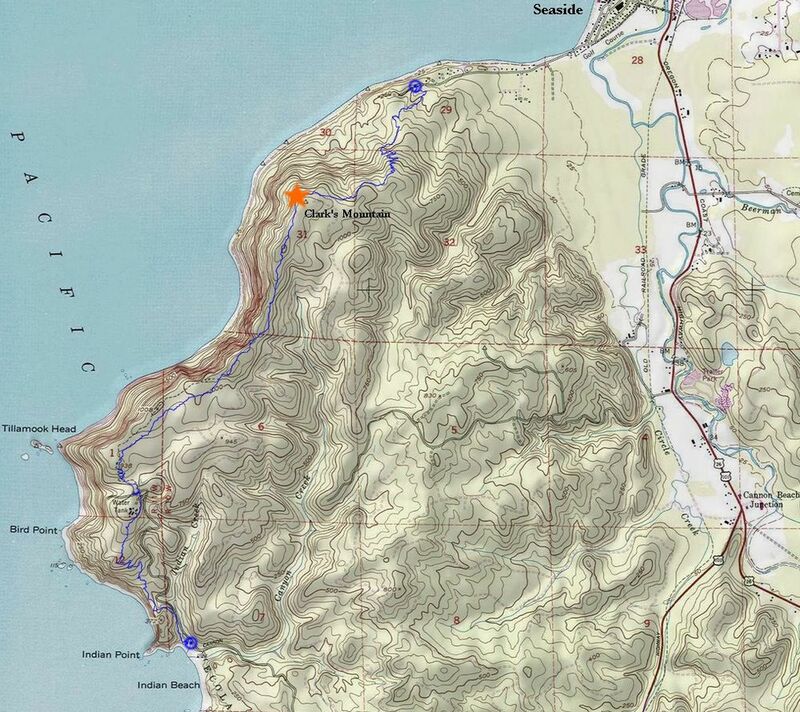 Map of the route, about 6 miles and 1400' gain, one way, from south to north. Looking back on Indian Beach, not long after leaving the south trailhead. Cool lighting in the forest. Boardwalk section, this area can be muddy. Interpretive sign at the north trailhead.